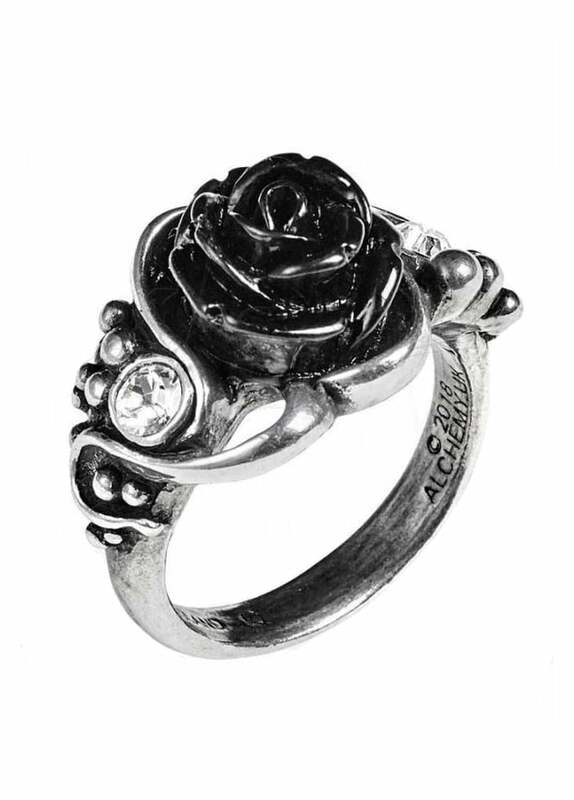 Alchemy Gothic's Bacchanal Rose Ring is a beautiful grapevine and black resing rose ring. The alternative ring also features 2 clear Swarovski crystal gems. A romantic motif concealing a secret libertine passion for wine and sensual pleasures. An intoxicating combination of the black rose of dark desire and the grapes of hedonism.